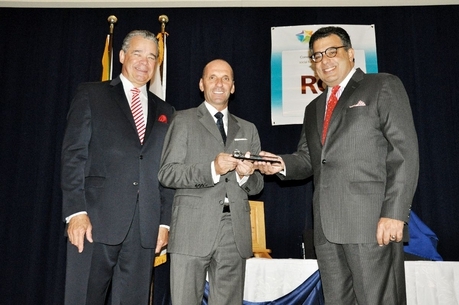 MDG congratulates hotelier Josef Forstmayr, Managing Director at Round Hill Hotel & Villas in Jamaica, on his appointment to President of Caribbean Hotel & Tourism Association (CHTA) for 2010-2012. Mr. Forstmayr’s efforts have helped Round Hill ascend to an award-winning five-star hotel, a distinction MDG was selected to communicate through advertising, branding, digital marketing, media, and web design and development. This presidential appointment reaffirms Mr. Forstmayr’s reputation for promoting excellence in Caribbean hospitality. “Mr. Forstmayr brings a wealth of experience to the post and will serve the association well. He has been a steady force for the hotel sector over the years, making him capable of leading this regional advocacy organization,” said John Lynch, Jamaica’s Director of Tourism and Chairman of the Jamaica Tourist Board. Mr. Forstmayr began his career in the fall of 1979 as Assistant Manager at Coconut Cove in Negril, later moving to the Tryall Golf and Beach Hotel as Resident Manager. He also served as General Manager at the Trident Villas and Hotel in Port Antonio, Jamaica. Mr. Forstmayr has been a director of the Jamaica Tourist Board since 1998, and has served as head of its marketing committee. He was president of the Jamaica Hotel and Tourism Association (JHTA) from June 2001-2003 and was voted Caribbean Hotelier of the Year in 2007 by the CHTA membership. Michael Del Gigante is president and executive creative director of MDG Advertising in Boca Raton, Florida. MDG Advertising is a full-service South Florida advertising agency, with offices in Florida and New York, that specializes in developing targeted internet solutions, exceptional creative executions, and solid branding and media buying strategies that give clients a real competitive advantage. For more information, call 561-338-7797 or log on to mdgadvertising.com.